An Apple for the Teacher? Do you give teacher gifts at the end of the school year? I never did when I was at school, it wasn’t really something we did in Australia, where I grew up. I know it is very popular in America and it is certainly becoming more popular in the UK. The end of the school year in the UK seems to be a good few weeks later than it is in America. So whilst it may seem like I am a bit slow on the Teacher Gifts, I am in fact only a little bit leaving it to the last minute! I started drawing some apples on the computer without actually having a plan of action. 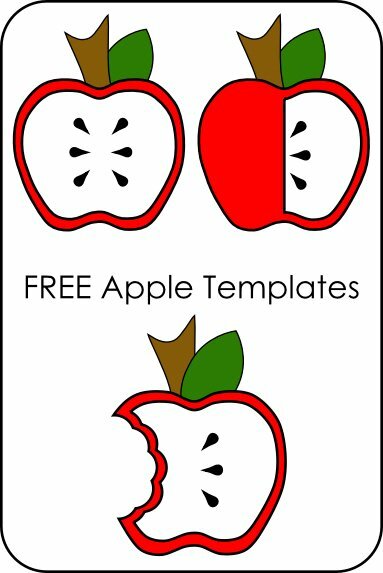 As I was drawing away I figured that actually you could use the apple templates in any number of crafts. 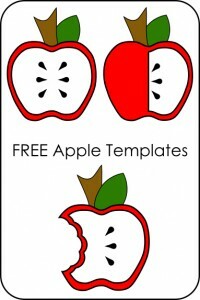 I shall be using the Apple templates to make a felt keyring….more on that as soon as I’m done stitching!